Psychological issues involved in Ronda haters? Discussion in 'The Lightweights' started by ortizgnp, Aug 10, 2016. 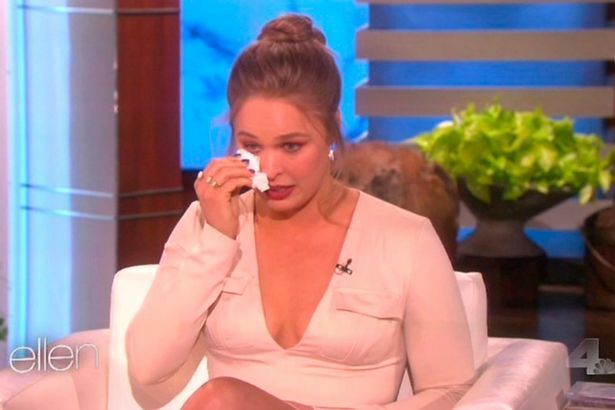 Imo i cant understand why people hate on Ronda Rousey. Is it because you dont like exciting fights? Is it because you prefer brute force over precision and speed? Some people say they hate the fans, but fans all have one common thing which is a like for a fighter, so if u hate fans that means you're even sadder and hate people who like the fighter you hate because you cant stand people liking her??? Threetrees, Bubblun, FootstompShonie and 4 others like this. She never really rubbed me the wrong way all that much, I was much more annoyed with Conor. latoya johnson, Concrete Whale, Get_that_yayo and 1 other person like this. Good parody thread. No psychological issues for Ronda haters, they just can't handle a strong, confident women. BC, Sgt Smith, lecter and 4 others like this. latoya johnson, Ely Slade, American_Bear and 1 other person like this. God Bless Holly. Greatest KO ever. latoya johnson, Ely Slade, DetachedOrchid and 3 others like this. the only part about her I don't care for, 100% of her personality. She oozes confidence, and gravy. The immense hate is pathetic, especially since people say the bs line I wish she'd go away then rush to every thread about her, even making threads about her. Bubblun, FootstompShonie, ortizgnp and 1 other person like this. A once in a lifetime athlete that is the evolution of modern athleticism is intimidating to average mortal men and women because it's a representation of their obsolesce as a species and that they're on the verge of becoming extinct like neanderthals to humans. FootstompShonie and ortizgnp like this.